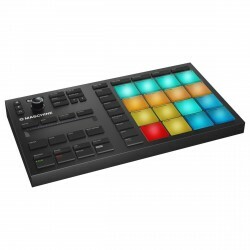 Maschine Mikro mk3 gives you four different ways of getting hands-on with your music using the 16 pads. Drum beats in Pad mode, with colour coding for kicks, snares, and other sounds. 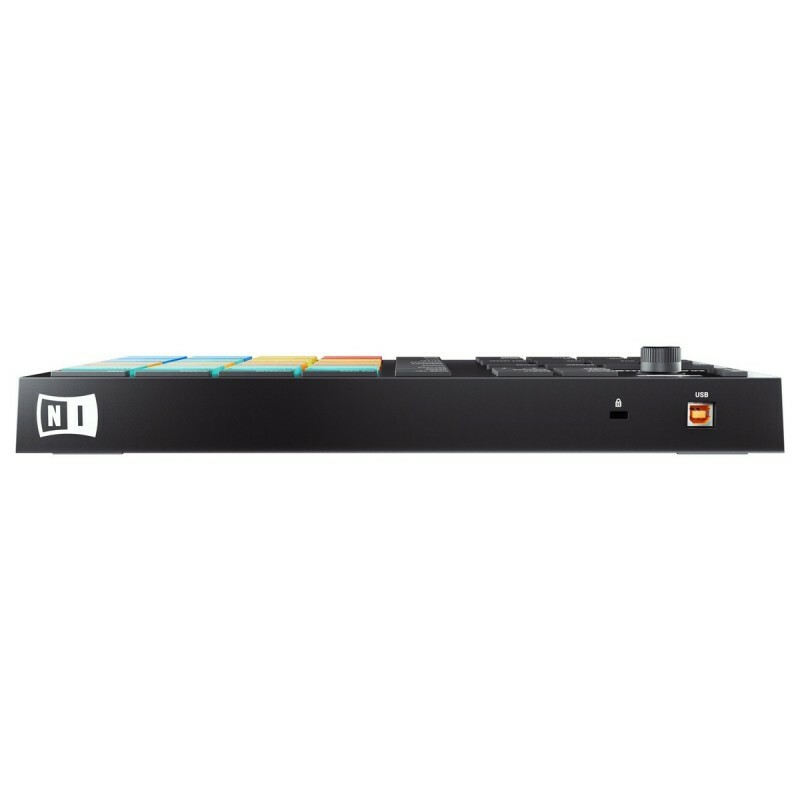 Switch to Keyboard mode to play melodies with the pads. In Chord mode, it’s easy to lay down inspiring chord progressions. And in Step mode, program beats and patterns visually in a classic step-sequencer style on the 16 pads – get exciting musical results quickly. Get creating and keep going – from one step to the next. Fast. The MASCHINE software comes with powerful tools for realizing your ideas. 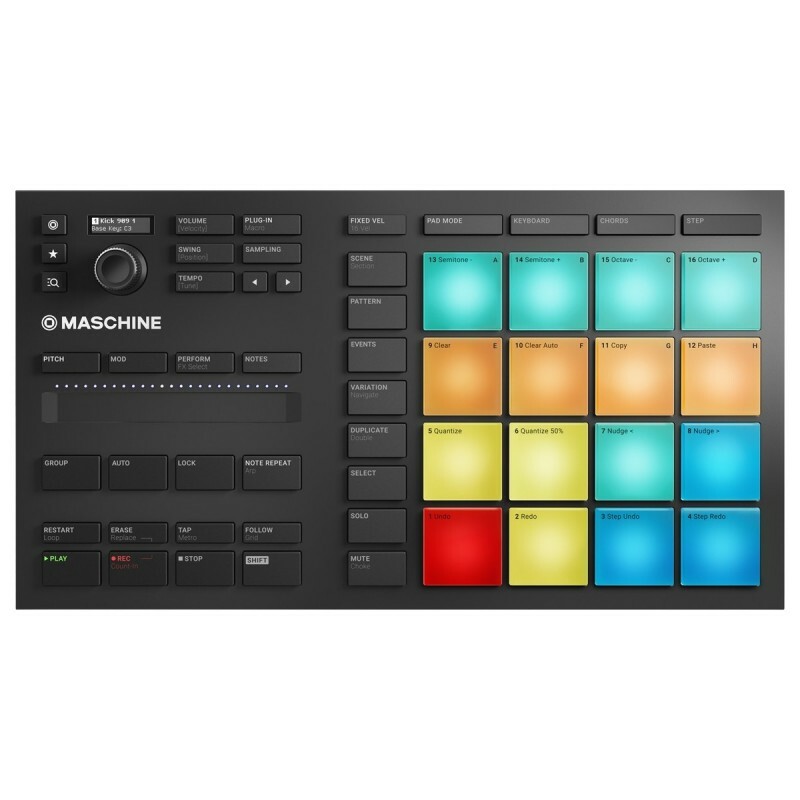 MASCHINE MIKRO mk3 gives you everything you need to get creating music, and it also works as plug-in in Ableton Live, Logic Pro, Cubase, FL Studio, or any other compatible DAW as a VST or Audio Unit. Use it to build up loops, then work with them in your DAW to quickly flesh out tracks, making it a powerful addition to your setup, however you make music. Sometimes less is more. MIKRO is optimized for making music with a laptop, letting you focus on what matters: getting ideas down fast. The controls you need, where you need them. Find dedicated buttons for commonly used functions, easily browse your favorite sounds, and switch between different ways of playing. Find new ways to express yourself. Slide your fingers over the Smart Strip to strum and bend sounds, or get creative with FX. Plus, all-new bigger pads let you feel more of your music. Don’t feel lost staring at a blank screen. Whether you’re making your first track, or wanting to step up your game, we’ve got you covered. Discover exclusive content from our MASCHINE experts covering everything from your first steps, to diving deep into power features with Maschine Mikro mk3 TruTorials.